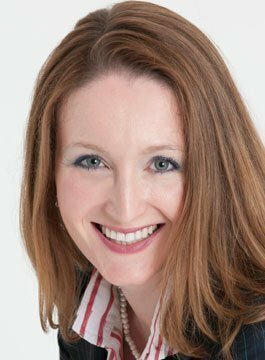 Clare Bailey (formerly Clare Rayner) is a leading UK based retail expert and keynote speaker. Clare’s retail career started in McDonalds store management (managing 270 people at Oxford Circus, London). She instantly fell in love with planning – sales forecasting; stock and supply chain; the nitty-gritty which ultimately affects the customer experience or profitability of the business. She then went on to join the graduate programme at Marks & Spencer as a merchandiser. Following M&S, Clare worked for various retailers in management positions including Safeway (now Morrison’s), BHS (managing 65 staff), Dixons and Argos. Clare was later headhunted into senior consulting roles with global software giant SAP, and international management consulting brand, Accenture. With a corporate background in senior retail, consulting and technology roles, combined with her experience of creating and running her own business, Clare is equally capable of providing retail consulting to global brands or micro businesses. This unique blend has not only positioned her as a leading expert in all things retail, but has enabled her to add meaningful commentary and insight to the debate around the future of the high street, and, how technology is driving fundamental change in the way consumers, and businesses, interact. Clare has become an influential voice in her field, which has resulted in her being a regular media contributor and sought-after conference speaker. Often seen on ITV’s Good Morning Britain, BBC Breakfast, Sky News, and Channel 5, Clare offers expert independent comment on a myriad of retail, high street and consumer issues, and is particularly adept at explaining the context behind retail trading results, newly released data, and government stats, in a palatable and informative manner. Described as engaging and inspiring, Clare tailors each presentation to suit the brief.